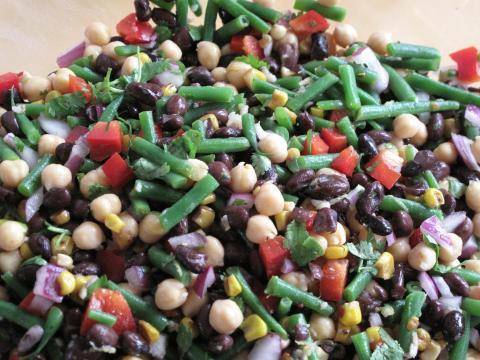 This One Clean Bean Salad will blow your mind! Yum Yum GOOD. That’s it. Throw it together, toss it up and don’t you dare think of adding any oil to this baby, you won’t need it.